Are you needing to buy a new computer? Do you have one that has stopped working completely? Just looking to upgrade? Baker Diagnostics is ready, willing, and able to meet all of your computing desires. We custom build computers tailored to fit your needs. Our computers use OEM components, so you can rest assured you are getting a high quality product. Do you have information that you would like to save from your existing system? We can do that for you, too! Currently, our beginner systems start at $600.00. 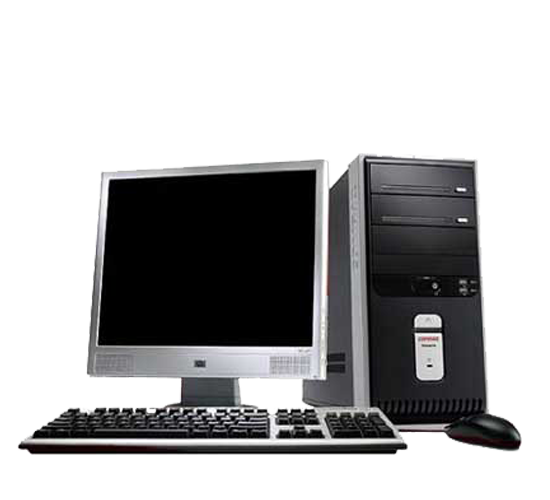 That includes the complete system - cpu, monitor, keyboard, mouse, speakers, and operating system. You don't have to worry about rebates, mail in certificates, etc, as you currently do with Nebraska name-brand manufacturers such as Dell, Gateway, etc. - you get the bottom-line price right up front. Due to the multitude of system variations, upgrades are on a case-by-case basis.